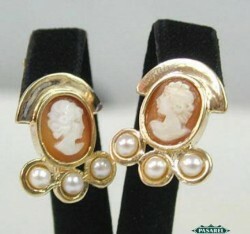 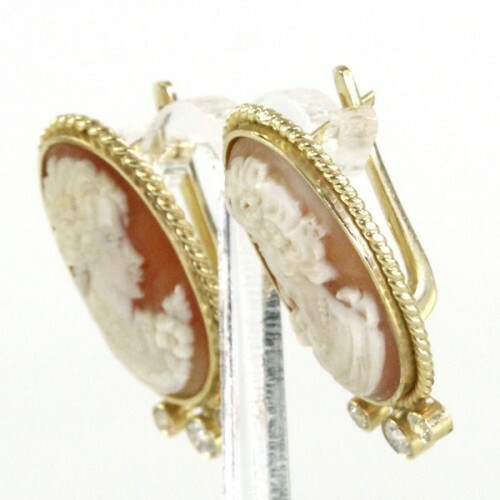 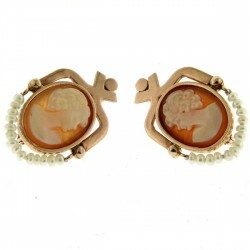 Pasarel - Pair of 14k Yellow Gold Coral Cameo and CZ Earrings. Pair of 14k Yellow Gold Coral Cameo and CZ Earrings. 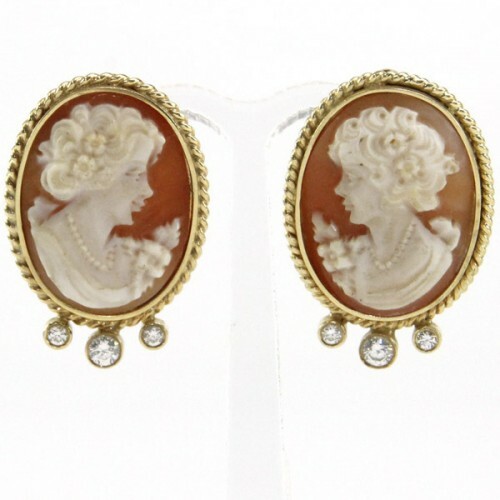 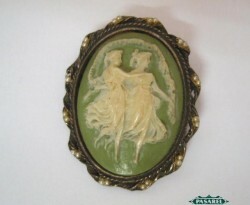 Each is set with a beautiful oval coral cameo depicting profile portrait of a woman (one facing left and the other facing right). 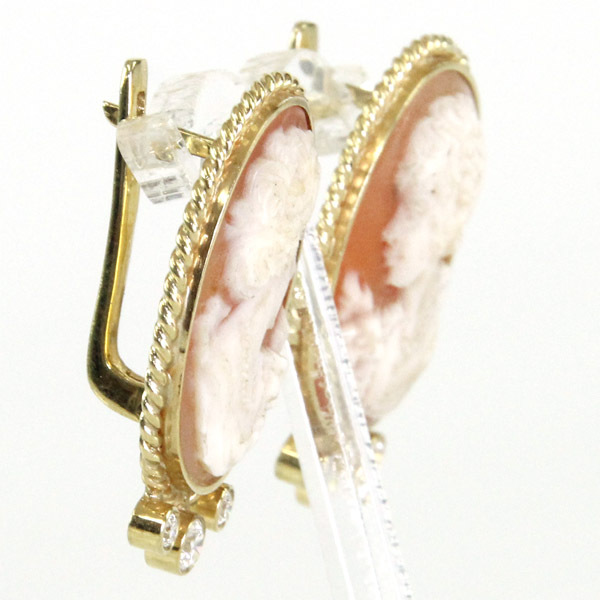 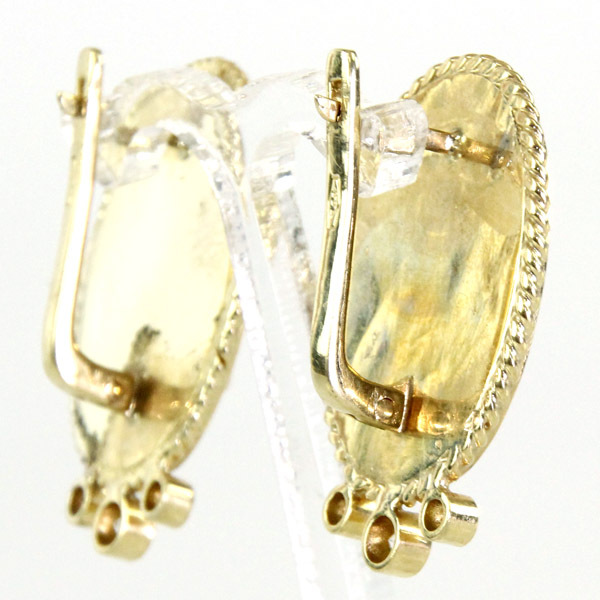 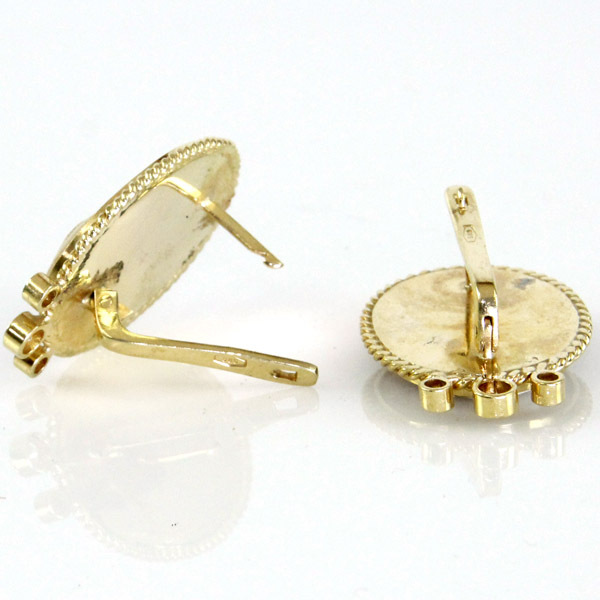 The bottom of the earrings are set with three CZs.